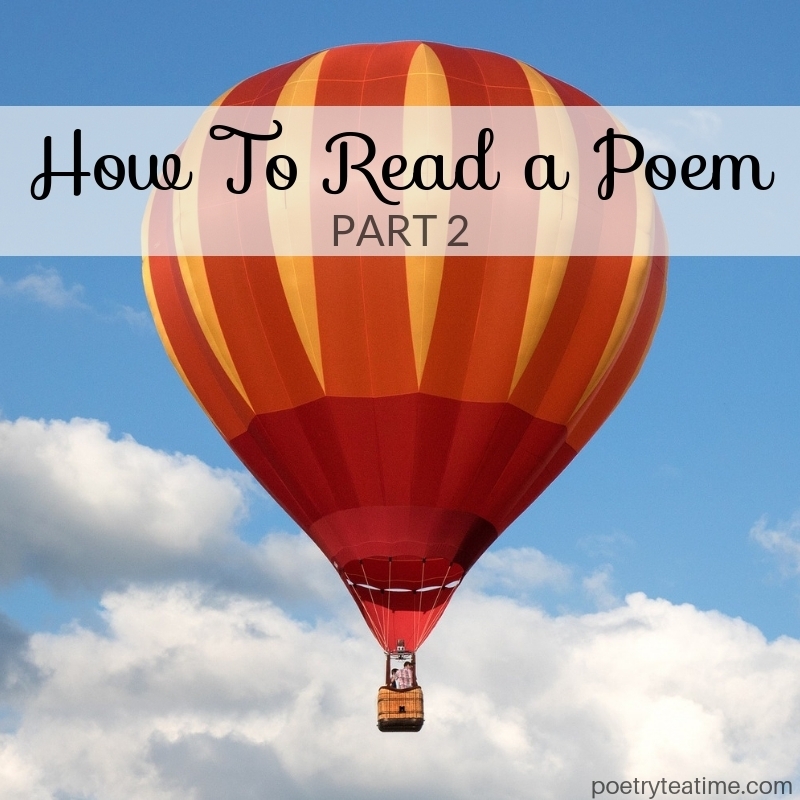 Last week in part one of our series on how to read a poem, we discussed taking a glance over the poem and then reading it out loud. Today, we’ll start to dive into the real work of reading a poem: understanding what it says. The best way to understand a poem is to describe the big picture of what the poem is about in a just a few words. A “What Happened” poem has some sort of action that takes place. 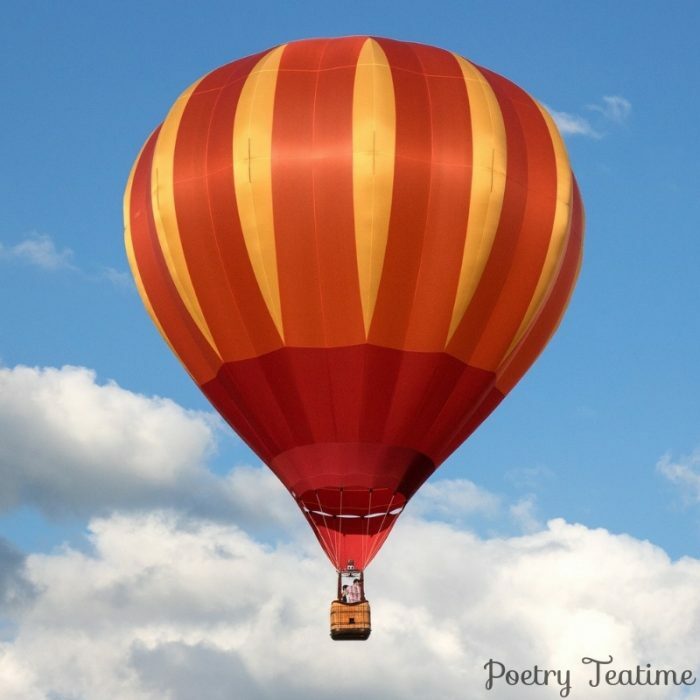 These types of poems focus on change, whether in a plot with a beginning-middle-end or a choice that the poet makes to do something or avoid something. One hint that the poem you’re reading may be a “What Happened” poem is in the title. If the title has a verb (action word) in it, then chances are something is happening in the poem! To describe this type of poem, find the “what” of the poem. Is it about the poet? A character they’ve made up? Their cat? Then, once you know the “what,” figure out what “happened.” Did the character go on a long journey? Does the poet write a letter? Did the cat spill some milk? If a lot of events happen, try to find a really general way of summing up the plot (for example, in the Odyssey, “Odysseus travels”). If you’re stuck, you’ll often find the “what” towards the beginning of the poem and the “happened” towards the end. There’s sometimes also a “what does this mean to me?” section at the end of a “What Happened” poem, where the poet realizes something about what happened. (For example: The cat spilled milk, and therefore, the poet realizes that life is short.) We’re going to ignore the “therefore” section for now and just focus on the big picture! Here are some examples of “What Happened” poems. A “What Is” poem describes something. It might describe an object, a feeling, or another person. The most important thing about a “What Is” poem is that the “what” doesn’t change, even though we learn more about it as the poem goes on. For this kind of a poem, the clue to finding the “what” is often in the title. If it’s titled “My Sister” or “My Bunny Slippers,” then it’s probably about the poet’s sister or slippers! If there isn’t a clue in the title, you’ll probably find the “what” in the first few lines. Sometimes, at the end of a “What Is” poem, the poet understands the object or person more deeply in a new way. What’s important, though, is that the “what” hasn’t changed. The poet just has a deeper perspective of it. Here are some examples of “What Is” poems. Boiling the poem down to the simplest “What Happened” or “What Is” makes it much easier to understand and enjoy. You don’t need to understand every part of the poem right now. 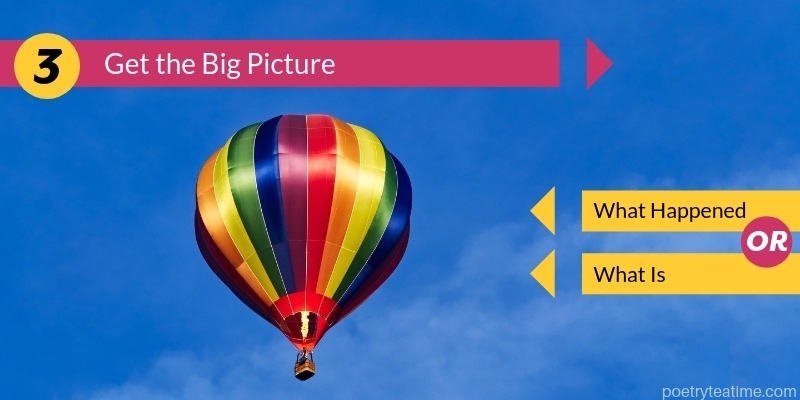 Just get an idea of the big picture. And now you’re done with the first few steps in reading and understanding a poem! Next week, we’ll dive into the sentence-level meat of the poem by taking a look at poetic language.